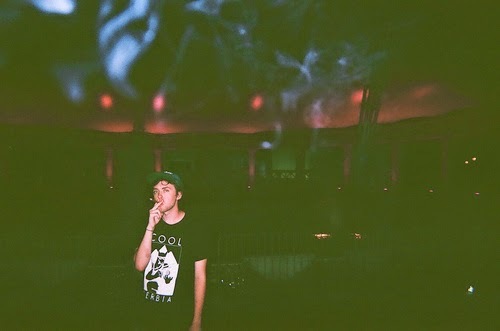 Since 2011 Coma Cinema’s Mat Cothran from South Carolina, has recorded a number of self produced EPs with his side project, Elvis Depressedly, who now after just being signed by Run For Cover Records, are about to release their first proper full-length album as a band. The new album will be called New Alhambra and it’s scheduled for spring 2015. A first taste off the LP is n.m.s.s (an acronym for No More Sad Songs), a video shot by Delaney Mills, Trey Murphy, and Jay Rubin in Asheville, NC. There’s plenty of time until the record’s release to get busy with the previous Elvis Depressedly works, all of which are up to get for free through Bandcamp.